Intelligence For Your Life - Which Dogs Live Longest? What’s the worst part of these movies: Markey & Me, Turner & Hooch, and Mad Max Road Warrior? What’s the worst part of these movies: Marley & Me, Turner & Hooch, and Mad Max Road Warrior? When the dogs die, of course! So if you want a dog that’ll be with you as long as possible, the website Pet Breeds came up with this list of the longest living breeds - some of which we’ve never even heard of. #5. “Pug-Coton” It’s a designer mixed breed dog, that’s a 50/50 mix between a pug and a breed called Coton de Tulear. Its maximum life expectancy is 19 years and it looks like a fluffy pug. #4 is the Xoloitzcuintli or Sholo for short. It can live to 20 years old - and it’s basically a Mexican hairless dog. The name is based on the name of an Aztec God and the Aztec word for a dog. Its a calm dog, sometimes aloof, but makes a good watchdog because it’s very attentive to its environment. #3 is the Portuguese Podengo Pequeno. It’s a small dog, looks like a Jack Russell kind of. It’s very athletic - and loves to run and chase. And lives to 20 years old. #2. 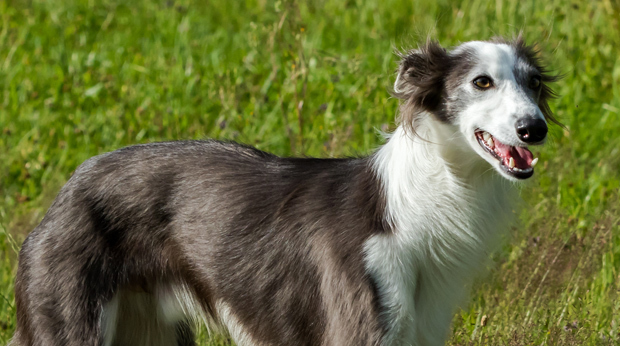 The Silken Windhound also lives 20 years. It’s an American breed that looks similar to an Afghan. It’s a sighthound, so if it spots a squirrel, look out. And the dog breed that lives the longest is: The Rat Terrier! It can live to 23 years old! And yes, it was bred to get rid of rats on farms.